Cycling has become a big thing for us over the last 6 months as gradually each of us has come to own a little two wheeled beauty of our own to brave the roads of London on our daily commute to work. 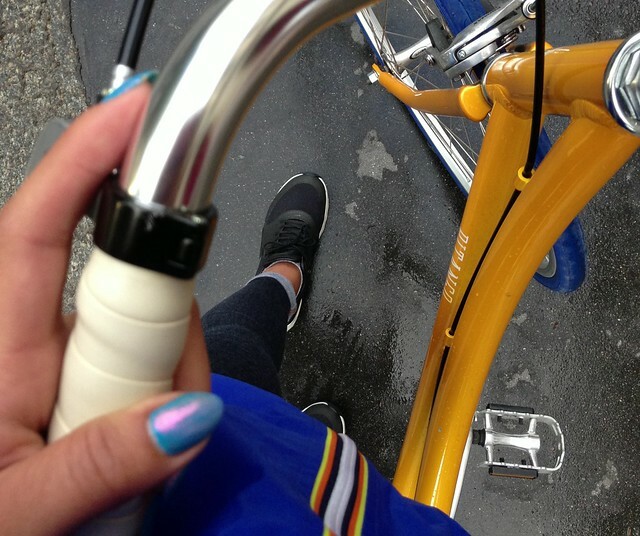 For all the ladies out there who are considering getting a bike, and looking to start cycling this autumn, Pitango Bikes’ Heels on Wheels workshop is worth checking out. In response to the results of their recent survey into women’s attitude towards cycling in the city, Pitango Bikes are launching a female-only 90 minute workshop on September 14th to help new cyclists build the skills to overcome daunting aspects of city cycling, teach us how to keep our bikes in good condition, fix punctures, and obvs, where to find a good coffee from bike friendly cafes! As pleasurable as cycling in London can be, when you first start it is quite daunting. It has taken time for us to get used to, and we are all too familiar with the struggle of building up our confidence to actually get on our bikes and join the madness of London traffic, get over the fear of buses, cabs and pedestrians who like to cross the road without looking, and learning the 101 of road communications. If only it was as simple as cycling in Belize. As a female, I also found it quite intimidating at first cycling alongside masses of speedy male cyclists all on some non-existent mission to overtake everyone and challenge the next guy to a ‘friendly race’. And let’s not even get started on fixing a puncture. It is a nightmare. Especially as 1. I don’t own any repair bits, 2. Even if I did, I wouldn’t know where to start and 3. It costs a ridiculous amount (around £15) for a 5 minute job when you take it to a bike shop. Pitango Bikes found that 72% of female cyclists wouldn't know how to fix their bikes if parts were broken, so I guess I’m not the only one! This is a skill all cyclists must have, myself included, because if it’s the middle of the night, you’re nowhere near home, and the bike shops are all shut, believe me when I say no amount of sweetness in your voice, pleading or puppy dog eyes will change the bus driver’s mind – they WILL NOT LET YOU ON THE BUS. Trust me, I’ve tried. If you don’t know about Pitango Bike, it’s time you get to know! 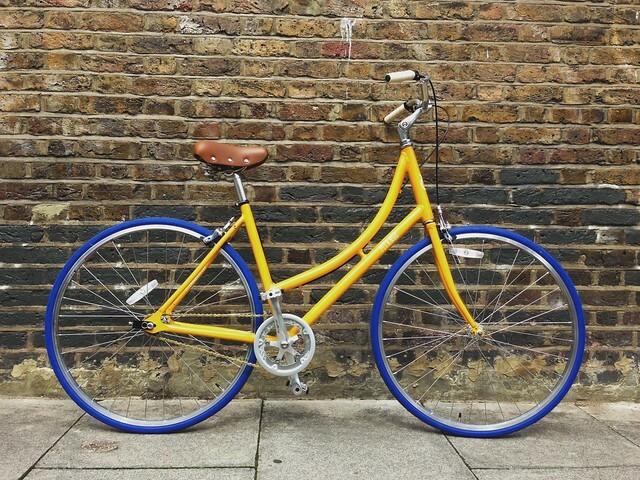 They offer affordable bespoke bikes with a tasteful palette of colours to choose from, either on a road or dutch frame. I’ve been testing out their bikes recently, and have been loving it – as much as I am loyal to my slick single speed, it has been an absolute pleasure riding Pitango’s Dutch Bike. You guys will find out more about this soon. It’s so great to see a bike company dedicate so much of their time to get more women enjoying the benefits of cycling, and help them build up their confidence. Join Pitango Bikes and other like minded female cyclists as you get to grips with cycling in London and chat about ways to avoid sacrificing fashion and style when riding a bike. If you want to find out more head over here, or drop @PitangoBikes a tweet!